The year was 1986 and I was a first office FBI Special Agent in Atlanta, GA. It was the same year I bought my first house. I remember working with a great realtor and the excitement that amassed when she provided me with the house keys after all the documents were signed at closing. I’d have to say my realtor experience was a good one that totally assuaged my adulthood fears of home buying. But my association with realtors didn’t end there. That same year on a late Friday afternoon, I was called to a residence in the North Atlanta area to assist with surveillance and a possible arrest. The FBI Atlanta Division was the recipient of information from the FBI in Tampa, Florida, that a homicide of a female realtor had occurred in Central Florida. The male subject (an FBI term synonymous with “suspect”) of the homicide had also stolen the female realtor’s purse and had been using her credit cards all throughout the Central and North Florida areas. Better yet, the subject had recently been socializing in the Atlanta area and had met a female at a nightclub with whom he had become socially acquainted. Further information indicated the subject had scheduled a getaway weekend with the Atlanta-based female and was heading to her home to pick her up that same Friday evening. After further investigation and coordination with FBI officials in Tampa, I learned that the subject had called the realtor’s office after seeing a “For Sale” sign in front of a vacant residence. The sign included the photo, name and telephone number of the realtor. The subject called the real estate office and scheduled a showing of the residence. When the female realtor showed up alone, he attacked her inside the vacant residence, and then raped and murdered her. It was then that he stole her purse and began using her credit cards, which then led to a paper trail and his identification. Our FBI team set up surveillance at the home of the Atlanta-based female. My job was to sit inside the home with the female while the arrest team waited outside for the subject to arrive. Fortunately, the subject arrived as planned and was arrested at the front door. He was then extradited back to Florida where he stood trial for murder and was convicted. As a real estate professional, you put yourself at risk every day, but you may not realize it. Meeting new clients, holding open houses and letting strangers get into your car could be potential threats to your personal safety. Real Estate can be a high-risk profession. Realtors who have no formal security training and who are meeting complete strangers at odd times of day and in vacant homes put themselves at great risk and open themselves up to predators. When entering foreclosed and vacant homes, be sure to inspect the exterior. Make sure the doors and windows are intact. If a squatter is in the home leave immediately and call the police. It is always best to ask a co-worker, spouse or friend, to be present with you when you show a home. ALWAYS let others know where you are. Before you leave, tell your co-workers, family or friends where you are, whom you are with and when you expect to return. And, ALWAYS show homes during the daylight hours. Criminals will use the cover of darkness to hide and then attack. When meeting a new client for the first time, meet at the office first. Ask for photo identification such as a driver’s license. 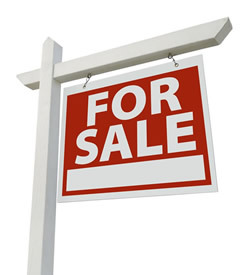 Tell the potential buyer it is company policy and is required before you can show the property. Make a photocopy of the identification. It is always a good practice to note the make, model and license plate number of the vehicle the potential buyer is driving. Introduce the potential buyer to a co-worker or to at least one other person in the office. Criminals won’t like it that others have seen them for identification purposes. Introduce yourself to neighbors and let them know you will be showing the neighborhood property from time to time. If possible, never show a property alone. Use the buddy system. Remember, there is always strength in numbers. Criminals prefer the path of least resistance and hope you are alone. Don’t go into confined places like basements, closets, and attics, as it is much easier to be attacked. Instead, remain in the foyer while the potential buyer’s walk through the areas of the house. You can answer questions from the front door if you have to do so. That’s all in knowing the property and anticipating questions in advance. If you have to join the potential buyer in each room, make sure you remain at the doorway. Let the potential buyer take the lead, and always walk behind. If you feel uncomfortable at any given moment, i.e. if your gut tells you something is amiss, LISTEN and respond! Make up an excuse. Tell them you have an important text message and have to call the office. You can even tell them another agent is on his way to show the house to another potential buyer. This also applies to open houses. Use the buddy system and stow away valuables such as purses, laptops, cell phones that could tempt a potential robber. Keep your cell phone with you at all times in the event you need to call for assistance. Hopefully, if you follow these 3 safety and security tips, you will remain safe and successful in your real estate profession.